She started at the company on November 13. 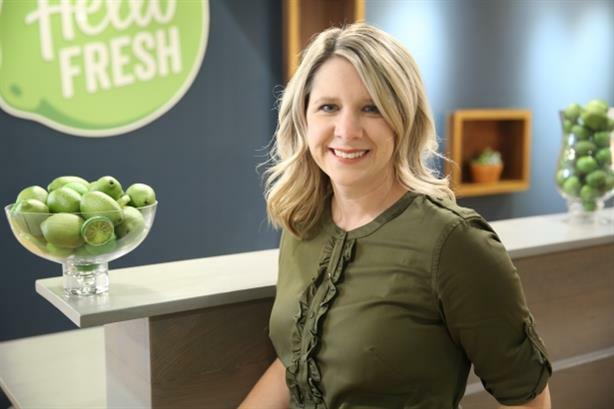 NEW YORK: Meal kit delivery startup HelloFresh has brought on its first North American head of communications, Nicole Messier-Marino. Messier-Marino leads consumer and product, corporate, internal, and strategic communications in North America. She started at the company November 13 and reports to Tobias Hartmann, North America president. "[I came to HelloFresh] for two reasons: I have personal passion for food and cooking and putting meals on the table," Messier-Marino said. "And because we [at HelloFresh] have this amazing capacity, in a relatively early market, to think about how we put fresh food in everyone’s kitchen. It’s a chance to be in food and to do what I love." The startup’s U.S. comms team is now two people, Messier-Marino and a senior PR manager. The company brought on Messier-Marino because its U.S. operation has grown over the past year and it "required someone at senior level to think through and mature the communications function," she said. Previously, Messier-Marino was head of global communications and customer success at ecommerce company Radial. She has also worked as VP of marketing and communications at Altisource and its subsidiary Owners.com, VP in the technology practice at PAN Communications, and director of communications at software company Apprenda. "We’re thinking through what our value proposition can be both at consumer and corporate level for the organization," Messier-Marino said. "Within that mission is looking at everything we do and every way we communicate and the impact we have in community. For example, we have three distribution centers across the country and those employees are the lifeblood of our business as well. We’re thinking big about having impact on their lives as well." HelloFresh, founded in 2011, is based in Berlin. The company held its IPO on November 2 with an issue price of $10.70 per share, valuing the company at just over $2 billion. One of its main competitors, Blue Apron, has been struggling on the stock market, dropping nearly 70% since its IPO in June.